My friend Etti Hadar descends from a Polish Jewish family. Her maternal ancestors, the Levins, lived in the Pinsk region of Poland (now considered Belarus) in a small town called Luninets. While researching her ancestry, Etti found a 280-page memoir written by her late uncle, Dov Shimon “Beraleh” Levin. 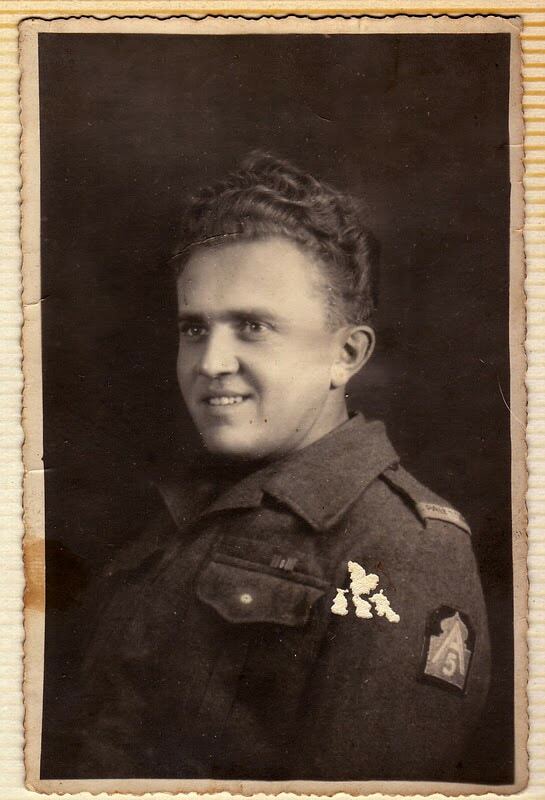 Dov grew up in Poland; he later served in Italy in the Jewish Infantry Brigade and fought the Nazis during World War II. After settling in Israel, Dov decided to write about his childhood in Poland. 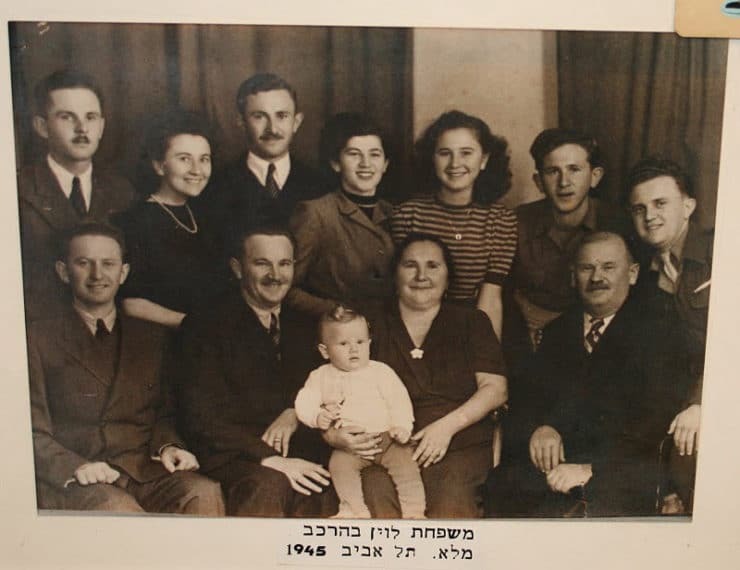 In his (translated) words: “I have written down these recipes and described our traditions because it is important to keep our family history alive.” Uncle Dov was born in 1922, the fifth child of eight (two girls, six boys). His memoir provides a fascinating glimpse of Jewish life in Poland during the 1920’s and 30’s. Etti was kind enough to translate parts of Dov’s memoir for me. As we read through together, it became clear that Uncle Dov loved food. You can sense it in his colorful descriptions of meals that the Levin family enjoyed together. Cooking was a family event. Everybody had their responsibilities—Dov’s Abba (father) would bring home the ingredients, his Ima (mother) would prepare the food, and the children would help in the kitchen. Everybody pitched in during the cooking process. The Levins, like many Eastern European families, had to survive long and brutally cold winters. With a house full of children to feed and temperatures at times dropping below zero, the Levins were forced to become very creative in storing their food for the season. – Potatoes were a staple of Polish cooking. The Levins were taught by local farmers how to store potatoes for the winter. In autumn, they would “cook” the potatoes, then Dov’s father would dig several pits in the yard. They placed the potatoes inside the pits and covered them with straw, followed by a layer of dirt. Apparently, this method of storing cooked potatoes kept them fresh throughout the winter. Uncooked potatoes were also stored in the cold cellar below the house. – Because meat was expensive and difficult to find, especially in winter, mushrooms were often used as a meat substitute. They were collected during the summer, and Dov’s mother would string them up with a thread and needle, hanging them to dry in the attic beside the chimney. During winter, these dried mushrooms would be used in a number of different ways—they were sometimes added to potato soup, or “barbecued” like a meat entrée. – In autumn, many foods would be pickled and stored in large barrels for the coming winter. Popular products for pickling included cucumbers, apples, cabbage, and fish. – Cheese balls were dried above the furnace and eaten throughout the year. – On the morning of Shabbat, before synagogue, the whole family would drink coffee with milk that had cooked slowly in an iron pot overnight. A “skim” of milk fat would develop on top of the coffee; the kids would often fight over who got to eat the skim. – Shabbat was the most important food day of the week. Meals were prepared the day before and served at the end of the Shabbat synagogue service. Regardless of financial ability, most families would “splurge” on this meal, preparing foods that might otherwise be cost-prohibitive. – Every holiday had its own special dishes. Channukah was celebrated with roasted duck and latkes fried in duck fat. Purim had a special kind of kreplach stuffed with liver. Simchat Torah featured stuffed kishke, tzimmes, and noodle kugel with lots of cinnamon. Uncle Dov’s memoir also provided a selection of Levin family recipes. To celebrate his efforts, Etti and I chose some of these recipes and cooked our own version of a pre-war Polish Shabbat dinner. We made each dish from scratch, much in the same way Dov’s mother would have prepared them back in Poland. Together with Etti’s mother Bella, we spent an entire day in the kitchen cooking up an Ashkenazi feast. From gefilte fish with homemade horseradish to chicken soup with kreplach to beef brisket to noodle kugel, there was enough food for an army. We even dared to make regel krusha (aka calf’s foot jelly), which may have been one of the strangest things I’ve ever tasted. With all of these hearty, heavy dishes, the end of the meal proved a delightful surprise—marak perot, which translates from Hebrew to “fruit soup” or “compote.” This is a light and sweet little recipe, as simple as can be. It proved a refreshing end to our indulgent Shabbat meal. As we savored our Marak Perot we reflected on our efforts, and on Uncle Dov’s wish to keep his family’s food history alive. I’m sure he would be happy to know that his memoir, and his recipes, have not been forgotten. Update: I have posted a blog about our Shabbat dinner. Check it out here! I think the ‘gmaleks’ are probably ‘gomolka’, which are a Polish dried cottage cheese thing. If you do a little searching, it seems they’re also called “gomlkez” in Yiddish. Cool thing, never heard of this before. Can’t wait to see the menu – thanks so much for this wonderful opportunity to share family menues and memories. What a great post! I’d like to mention it on Tracing the Tribe, if that’s OK, with a link back to your original post as well as Part II. Hi Esther! I’m so glad you enjoyed the blog. The meal was amazing, I’ll post more about it tomorrow. oops, sorry. I forgot to mention that I am Etti’s first cousin. Thank you for such a great summary of my family’s food habits. I too have memoirs of uncle Dov (and uncle Tzvi), but they are about his service in the British army and the Jewish Brigade in WW2, not about the foods. Hope you liked the meal. I got hungry for those foods,laden with cholesterole, fat, and calories, as I was reading your blog.